A lot has been written about the integration of marketing- and sales functions, but there seems to be no consensus about what works best. From what I have seen in various blog posts most of them argue for tighter integration between the two (similar levels) or that sales should align with the marketing strategy of the firm (different levels). I respectfully disagree with both. In much of the strategy and leadership research there has in a long time been a discussion towards a disruptive way of thinking where strategy is no longer set rigidly by leaders, but where they rather establish boundaries within which strategy can emerge. In such an organization, the need for flexibility to make decisions on a lower organizational level is crucial, and one way of doing this is a focus on specialized functions well anchored with a clear vision and strategy. 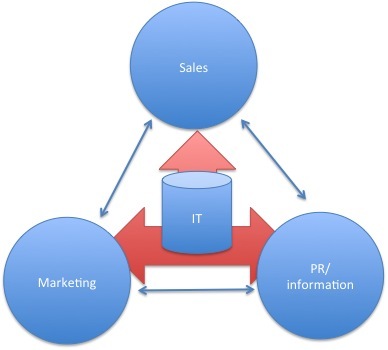 My experience in more than 20 years of selling and later as a sales researcher I argue here for a mixed integration where they should be both aligned and separated. Based on academic research there seems to be evidence for such an approach (Homburg and Jensen, 2007). Marketing departments is known for having a long-term orientation and product focus, whereas sales departments have a short-term orientation and a strong customer focus (sometimes to the degree that salespeople experience conflicting views about where their loyalty should lie – the firm or the customer). These perspectives are also some of the strengths of the two departments. By having an orientation towards the product/service and how it should be developed the marketing department can keep a long-term focus towards how the business will develop in the future. Likewise, for sales by having a focus on the customer and their needs, often in a turbulent marketplace, they can quickly adapt to these needs. So by having a strong focus on their respective orientations, they will focus on both the short-term needs of the firm (next quarters sales), and the long-term needs (adjustments to changing market). The alignment should come from the strategy of the firm (or the SBU strategy). This strategy lays the foundation for why and how the firm is in the business. So the alignment should be on the knowledge about the market and product/service offered, together with interpersonal skills. The figure below illustrates this relationship. If the two departments have different views on who the competitor and customer should be this would lead to a misalignment of the short- and long-term goals of the departments and it might hurt both immediate and long-term performance. Although they might have different roles when it comes to providing input when it comes to product- and market knowledge, their understanding of this knowledge should be aligned. Marketing often uses market reports, and market analysis to gather knowledge about the market. Information that help marketing in developing trends regarding the how the market will develop. Sales, through their intimate relation with the customer, can offer feedback regarding immediate problems with the product/service and the advancements of the firm’s competitors. Both are necessary in developing a thoroughly understanding of the market and what kind of impact it should have on the firm’s product/services. Being able to share the information both departments have regarding the market and product requires that the departments are able to talk to each other. Luckily, the changes between people in sales and marketing does not seem to differentiate that much. 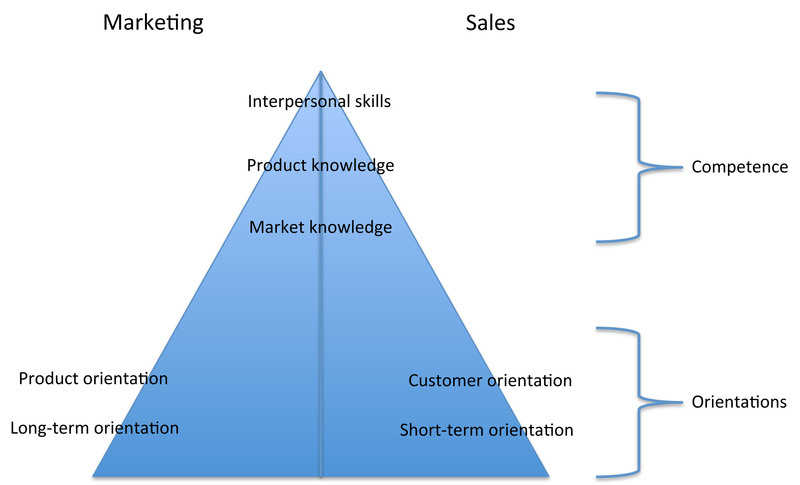 A lot of marketers started their career in sales, and when I look at our students choosing between sales and marketing courses they do not differ that much. As a leader of both sales and marketing departments I would argue that the candidates I interviewed when hiring for both departments had a great overlap in profiles. Taken together, this should serve as the basis for a fruitful relationship. But too often it does not. How to foster both alignment and differences? When both departments understand their part, both as a unique entity and how they can contribute to the common good of the firm the hostility between the departments might be reduced. When both understand that they are not in competing roles, the possibility for knowledge exchange might be possible. Another thing that might add to this understanding is to have a joint VP responsible for both sales and marketing. The problem here is, of course, the discussion if this position should be given to someone with a sales- or marketing background. Which might hurt the relationship even more. But if this VP of sales- and marketing (or marketing- and sales) managed to focus on both the alignment and the separation of the departments the connection with the firm strategy might be strengthened. I hate it when writers/bloggers describe content marketing as communicating without selling. A commercial company wouldn’t engage in content marketing unless it helped sell their products or services. Then comes the line… It’s really not about selling; it’s used to help build strong brands. Well, again… Commercial, or at least smart commercial companies wouldn’t spend time on branding if they didn’t think it would help them sell more. The movement towards a relationship building culture within firms (market orientation, value based selling) is still measured on how they affect performance. The effect of such initiatives is just not so immediate as the old concept of “hard” selling. Why this emphasis on selling? Because if we delude ourselves to believe it’s something else, we just get lost. But if we focus on why we do it, we might actually make it work, and it will be easier to measure the success of our effort. So yes, you’re content marketing activity should be aligned with your strategy, should help build your brand, but in the end, what you CEO will ask (and rightly so) is, how much does this activity contribute to our sales? 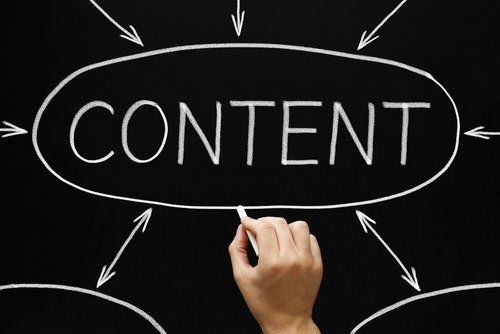 One of the biggest challenges in content marketing, today, is to create enough content. When you build and start using a content strategy, you have to create relevant and high quality content you’re current or potential customer base regards as valuable to them. Those who best can provide this in your organization is the ones that are viewed as an expert in various fields of what you are doing. But they do not have the time. This is one reason there has been an exploding number of different surveys presented through company blogs with various quality, and a lot of guest bloggers. So what can academia teach businesses about content marketing? Most researchers are committed to a certain field, as sales management, marketing (or more narrow, consumer behavior), strategy, leadership, etc. where they build their competence. And they have a very clear perception about their audience. The target audience is other researchers and dedicated journals in particular fields. This makes it much easier to understand how and what you should write. If you want to succeed in content marketing, you need your own experts (R&D people, researchers, developers, etc.) who see the value of building a strong competence within their field. And if you want them to write for you, you have to provide them with a clear understanding of the audience. When providing a precise and narrow audience (target market(s)) it gets a lot easier to find something to write about and easier providing value to this group. Researchers write to get acknowledgement among their peers (and to keep their jobs…). Most have no ulterior motives. When the objectivity of research is questioned, most of the time it’s not because one believes that the researcher has a direct personal economic gain of the research, but more about if the findings in the study. And in general people view academic researchers as trustworthy and objective. And here it’s where it gets a little bit confusing when arguing for my opening of this blog post: If your writing clearly is about selling a product, you miss. A lot of blog posts from “sales experts” fail regarding this; there is just too much selling in the blog post. But the thing is, a content strategy has a mediating (indirect) effect on sales, not a direct one (if done right). Which, of course, makes it harder when you are measuring the impact of content marketing. But through you expert blog post you provide value to you target market, which then increases their trust in you (and you firm) as an expert within your field, and thereby increases the probability for a selling opportunity. Academic researcher is (most of the time) measured on only one thing; How much do you publish and in what kind of journals. Their job depends on this; their pay depends on it, and their acknowledgement depends on it. Academic researchers do not get acknowledgment for teaching, which often is just seen as a duty they have to fulfill. Measurements drive action. Research shows that people focus on those objectives they are measured on, even if they know that these objectives are wrong. And since incentives are most often based on what you are measured on, the relationship gets even stronger. So if you don’t create a structure for creating content, and do not attach measures and incentives to content production you won’t get any. A final comment with reference to the heading of this post: Why won’t businesses learn from this? Because they are not willing to pay the price in commitment building a strong content marketing strategy. And this willingness is connected to the fact that it is difficult to measure the effect of content strategy, especially when it comes to sales. And since most content marketers out there argue that content marketing is not about selling, it makes it even more difficult. With a high increase in the number of students, updated curriculum, and 98% of our students in jobs within 6 months after graduation, our Bachelor in Marketing and Sales Management is doing great. 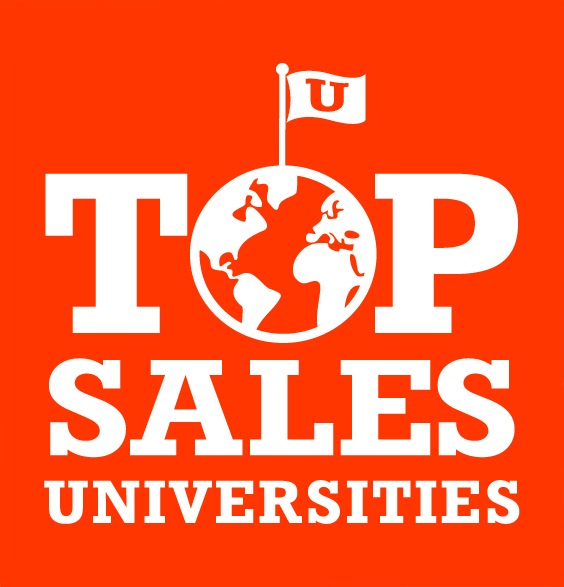 And this week we were awarded a spot on the list of the “Top sales Universities” of the Sales Education Foundation (www.salesfoundation.org), as one of 11 schools in Europe! The Sales Education Foundation (SEF) is a component fund of The Dayton Foundation, a 501(c)(3) public charity. The SEF is dedicated to the promotion of the sales profession through university level sales education programs. The program is a 3-year Bachelor (undergraduate) and by the end of 2014, there will be about 400 students spread over the three years here at Oslo School of Management. I would argue that more and more young people see sales as a relevant educational choice and employers choose sales people with higher education. …my mother always told me to aim high…! Part of my job is being responsible for our Bachelor in Marketing and Sales management, a 3-year full time bachelor degree (undergraduate). This means that the students attending this program are young (19-22) and just starting their higher education, most of them with no pre experience in professional sales. Even though this bachelor is one of the biggest programs we have we need to develop it further and I am now looking for input for doing just that. Based on the history of marketing departments and sales departments in many companies I think one important aspect of this program is that the students gets an introduction to both sales and marketing, helping them to develop the understanding of both disciplines. What do you think is important for today’s students to learn about tomorrow’s sales environment? The best way to answer is to do my super short survey below, or you can just comment on this post. Link to super short survey! I have been asked to do a lecture on a seminar hosted by the Norwegian Chiropractor society in February. My topic has nothing to do with their profession and treatment, but how they should build their brand and attract new clients. Even though they are seen as a professional profession and accepted by the Norwegian Government they are still not the first choice when it comes to treatment of pain, especially back paint. Most Norwegians still goes to their traditional physicians and physiotherapists. The lecture will not have an overarching strategic approach, but give some advice on how to attract clients, how to treat them (not medical) when they arrive at the clinic, and how to follow them up afterwards. There is a lot of research on these different topics in marketing and service management, but what I lack is good examples that I can use do drive the message home. Do you have examples of clinics that have distinguished themselves in the way you are welcomed into the clinic or while waiting for treatment? We are talking about how they do it and the servicesacpe (the surroundings) that have impressed you. This picture is from one of Google’s offices. After you have been to the clinic. Has any practitioners impressed you in keeping in touch with you after the treatment? Would be forever grateful of any input! We use strong standpoints and expressions in our blog posts to make them more interesting. In 90% (not a scientifically tested number – just using a strong statement) of these posts, the author starts the rest of the post by saying that this is of course not so etc. and we can smile and maybe continue reading. Sometimes however (should be 10% according to my strong statement above) the reader seams to mean it. Sorry to say most of these are used when the post (or the one posting to be correct) is trying to sell something. “Traditional lead generation through cold calling and other hard sales tactics is dead” – No its not… (See traditional selling below and later arguments). “This is because we actually cant sell anything to anyone. We just need to be there when people are ready to buy.” No its not… (See a broader value approach). Traditional selling, often called “hard selling” or “transactional selling” has been the dominant view of the sales process from the beginning. In this approach closing the sale and winning the order seamed to be the final goal for most sales reps, and indeed was what they where measured on. Out of the transactional approach grew the picture of the sales rep as an aggressive, pushy and annoying individual, not focusing on the customers needs but just bluntly trying to sell their product at any cost. The metaphors used were obtained from the military, and the sales field was often viewed as a battlefield. Most of the literature on this approach is traditionally what you would find at an airport bookstand and written by non-academic self-proclaimed sales experts. In 1980 Dubinsky presented his framework “The seven steps of selling”. This was a presentation of all the steps from initial contact until the closing of the sales and was influenced by the traditional view of sales and that most sales included traditional products. And even today this is a dominant sales approach for many companies. The move towards increased sales of services and a stronger competitive climate and the understanding that customer retention cost less than customer acquisition, paved the way for a more customer centric approach. Terho, Haas, Eggert, & Ulaga (2012) presents several approaches of this view, among them the adaptive selling approach, where the salesperson alters the information and approach based on customer reaction during the process. The consultative selling approach, where trust, credibility and looking at the salesperson, as an expert is central aspect. In the relationship selling approach the focus is on cooperation with the customer in all stages of the sale, mutual disclosure and intensive follow-up. For some the solution selling approach (in a broad sense) could be translated into the statement that “the customer is king” or “the customer is always right”. In the later years this view have been under attack. And the opposite view can simplified be expressed as “the customer is not always right”. One could argue that Steve Jobs was a long-standing supporter of this view, since he in several interviews has rejected the idea of using market surveys in product development, claiming that the consumer do not know what they want. (Terho et al. 2012) presented Value-based selling, defined as: “the degree to which the salesperson works with the customer to craft a market offering in such a way that benefits are translated into monetary terms, based on an in-depth understanding of the customers business model, thereby convincingly demonstrating their contribution to customers profitability”. When using value-based selling they see a shift in the selling approach where salespeople focus on the solutions implication on the customers whole business, not just focusing on expressed needs or creating customer satisfaction. In line with the value-based selling approach, Dixon and Adamson (2011) argue that the most successful seller is the “challenger”, not the relationship seller. The challenger profile has the ability to teach, tailor and take control, the three basic attributes of the challenger-selling model. So the challenger challenges the customers to find the best solution to their problem, not just accepting the needs presented by the customer. In their article “The End of Solution Sales” Adamson, Dixon, & Toman (2012) argue that just presenting a solution to a stated customer need is not enough. According to them “a recent Corporate Executive Board study of more than 1,400 B2B customers found that those customers completed, on average, nearly 60% of a typical purchasing decision–researching solutions, ranking options, setting requirements, benchmarking pricing, and so on–before even having a conversation with a supplier”. In such an environment the solution based seller lose their advantage because the customer already has defined the solution they want. When deciding on your sales strategy or approach you should get back to your basics. What kind of product or solution are you offering, how do your competitors approach the market, what does your ideal customers base look like etc. – basically use your old Kotler and Porter books on marketing management and strategy. When that is done your preferred sales strategy should be easier to decide, and it might just be possible that this will be the hard selling method! Did you read the Huffington Post article about British Airways who will Google passengers “To put a face to the name”? They cite articles from both The Mail and The Telegraph. The point is not so much that BA is doing it, but the reaction they get from doing it, as the Huffpost is putting it: creepy. BA is not the first organisation using available data in this way and will not be the last. 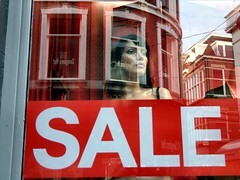 From a communication side it was money well spent with a targeted message with a low budget on prime locations. From the users point of view they felt like being in George Orwell’s 1984 – watched by Big Brother. This is basic psychology based on the same principle as private space. If someone stands to close to you, they invade your private space and you get a feeling of unpleasantness. The space in question differ from person to person, as do the level of acceptances of online information about ourselves, when it comes as a surprise. Surprise is the keyword here. When someone knows more about you than you expected the level of creepiness increases. The problem, of course, is that this is the way technology is developing. And from the advertisers or sellers point of view this helps making betters targeted communication with a smaller budget. Even the Data Protection Act will not stop situations like these from happening. The development of Big Data and technology that makes it easier to extract information from these major data sets is all making it easier to target the communication. The one who breaks the code of detailed information vs. the creepy factor would have struck gold. 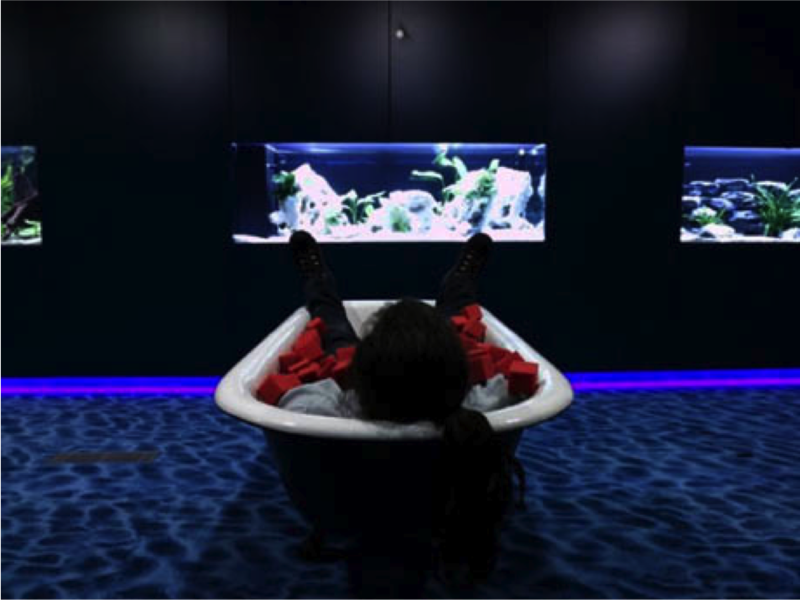 What do humans do to make sense of a complex world? We try to simplify, and one well know way of doing this is to systemise and/or categorise the complexity into smaller pieces and put them in order. You probably heard the saying: How do you eat an elephant? :One piece at the time. In his paper from 1980/81 Alan Dubinsky of Edwin L. Cox Scholl of business presented a paradigm in selling namely the “7 steps of selling” (Dubinsky 1980/81). This systemised approach towards the selling process have since then been the foundation of tons books and training courses about selling. It was not until about 25 years later someone else decided to really go through these seven steps o see if they where still valid in the sales world. Moncrief and Marshall presented “The evolution of the seven steps of selling” (Moncrief et. al 2005). Their conclusion was that a lot had happened in the world of sales since 1981 especially when it came to the digital revolution and the focus on relationship selling. So they revised the original 7 steps and ended up with a set of updated steps. Another important factor was that their steps were not so sequential as Dubinskys, as the process could go back and forth several times and moving from one step to the next could take a long time. Now, my question is: Are you using these steps, either the original 7 or the revised one from 2005? Or do you have your own steps acquired through training or experience you feel work best for you? Dubinsky, A. J. (1980). A Factor Analytic Study of the Personal Selling Process. Journal Of Personal Selling & Sales Management, 1(1), 26. I tweeted earlier today about IBMs state of marketing survey that states that CMOs and CIOs must work closer together in a partnership, based on an article in Forbes magazine. But there has been a lot of debate on which one is best suited to engage with the customer. PR people claiming that marketing is fundamentally based on mass marketing and one to many communication without dialog with the consumer. On the other side still many measure the value of PR based on the placement, size and kind of newspaper the press release is accepted. Both struggled to win the war about whose was to “own” social media. And at the heart of this debate was who was better at having an “interactive” relationship with the customer. The thing is that both have models and tools for mass communication AND 1-1 dialog. But the truth is that neither actually meets the customer eye to eye. Surveys, phone, SMS or social media mainly does the interaction. But in most companies there is someone who has this connection with the customer, both existing and potential, and that is the chief sales officer (CSO). So when IBM is stating that CMOs and CIOs should work together they are of course right (specially because they are emphasising the use of mobile technology and social media), but still just covering half the picture. And I agree with Forbes when asking if a stronger marketing IT relationship really can impact business. The real impact will come if they manages to use the IT relationship not only to work on technology directed towards the customers but use it to stenghten the relationship bewteen the CMO, CIO and the CSO. In a changing world, not only when it comes to use of “new” media, but when the focus of research and firms is on customers value the role of the salespeople will increase in importance and a strong realtionship (and IT solutions to support this) between the three mentioned discovering a customers true value needs could possible be found. And that will have an impact on business. I got really confused after the changes at Bitly after their upgrade and I understand they have received their fair share of negative feedback on this. I do understand that they want to develop Bitly as a service, moving forward with more features. And I assume they have a lot of users asking for this. But my confusion is a minor detail when you just want your links shortened and some data on how well they are doing. Yes I was annoyed about the extra clicks I needed to get a short link and to be honest I still haven’t figured out how to shorten a link when using their mobile site on my iPad. So I let my Hootsuite account do the shortening for me instead. Nice and easy. The analytics part is not as good as it was in Bitly though. But for my simple use its good enough. And I decided to stay with Bitly for a while to see if the new features were something I would grow to like. I never looked at my self as a “vocal minority” or a rebel if you like. I just needed a fast way to shorten my links. What arrogant statement! And this is the real reason why I stopped using Bitly, not the change. But after reading the interview on techcrunch I see the change in a different light. An arrogant move to force light users (vocal minority), like me into something I do not need. How hard could it be to keep and effective shorting solution for us vocal minority and let the silence majority rejoice the other features?